Miles Franklin-winning author Alexis Wright has crafted a memoir in story form of the charismatic Indigenous leader Tracker Tilmouth, and an epic portrait of a important period in the political life of Australia, reminiscent in its scale and intimacy of the work of Nobel Prize-winning Russian author Svetlana Alexievich. The legendary Indigenous activist ‘Tracker' Tilmouth died in Darwin in 2015. Taken from his family as a child and brought up on a mission on Croker Island, he returned home to transform the world of Aboriginal politics. He worked tirelessly for Aboriginal self-determination, creating opportunities for land use and economic development in his many roles, including Director of the Central Land Council. He was a visionary and a projector of ideas, renowned for his irreverent humour and his colourful anecdotes. The memoir was composed by Wright from interviews with Tracker before he died, as well as with his family, friends and colleagues, weaving his and their stories together into a book that is as much a tribute to the role played by storytelling in contemporary Aboriginal life as it is to the legacy of a remarkable man. A fiercely intelligent and provocative writer, Alexis Wright is one of the most important voices in our literary landscape. Her singular books – whether a richly surreal imagining of the future (The Swan Book), or an eye-opening account of grassroots activism (Grog War) – interrogate contemporary Australian life and deepen our understanding of Aboriginal culture. Her latest book is a ‘collective memoir’ of charismatic Aboriginal leader, Leigh Bruce ‘Tracker’ Tilmouth. Tracker looms large in the national consciousness. An Arrente man from the Alice Springs region, he was known for his activism and bold ideas, as much as for his irreverent sense of humour and lively antics. His life and work intersect with a key period in the political life of Australia. He was a member of the stolen generations, taken from his family and raised in a mission on Croker Island. Throughout his adult life, he fought, passionately and tirelessly, for Aboriginal self-determination, including in his role as director of the Central Land Council. 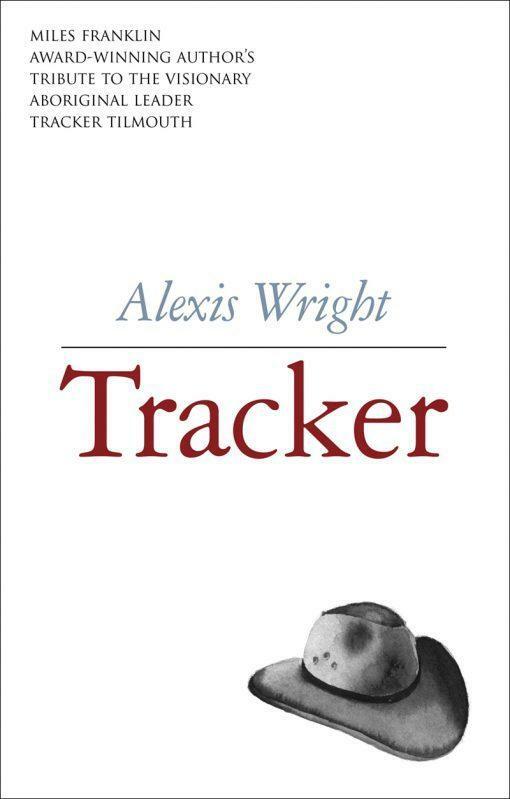 In crafting this work, Wright has interviewed Tracker’s friends, family and colleagues, as well as the man himself, interweaving their distinct voices to create something that is intimate and expansive. The book’s unusual structure is testament to the value and role of storytelling in Aboriginal life. Wright comments: ‘this is what Aboriginal people understand, that it takes the voices of many to tell the stories of country, the story lines.’ Her books have always drawn from an oral storytelling tradition, and with Tracker she is again pushing new boundaries of the written form, creating new spaces for her community. In this work, every person has a chance to speak and we read about the same events from multiple perspectives, always with new and surprising details. The nuanced portrait of Tracker that emerges from these collected fragments reveals the impact he made on so many lives. This is a landmark work – epic in its scope and empathy.